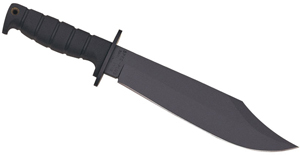 New Ontario Ranger Bush Series 9″ Tactical Blades! 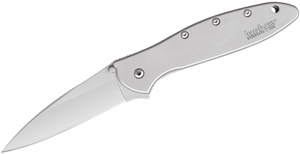 The largest of the Ranger Bush Series from Ontario Knife Company is now available. When you want that super large fixed blade, the American made Bush series features a thinner profile than the standard Ranger knives, but it still has plenty of muscle. Steel is 1095 carbon with a gray powder coating. Handles are black or tan Micarta, or orange G10. You get the super large size, reduced weight and amazing cutting performance. New, Extra Thick Bush Knives from Ontario! The RD-6 and Afghan Bush Signature fixed blade series from Ontario features styles similar to the Ontario Ranger Bush series with one important difference: The blades are extra thick. These blades are 0.375″ thick S7 steel, making them quite a bit heavier than your typical knife. However, the thickness of the blade makes these great for unusual jobs. 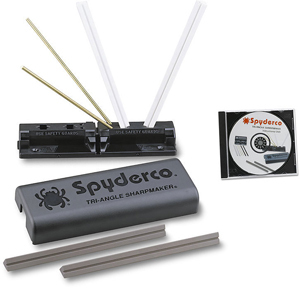 These are great for everyday camp jobs, such as splitting firewood, and they also make a great emergency axe or hammer in a pinch, while still performing ably as heavy duty knives. The differences between the RD-6 and the Afghan are that the RD-6 has a 6″ clip point blade in a Bowie knife style and a pommel for hammering, while the Afghan has a somewhat shorter 4.438″ drop point blade and no pommel. Both come in either orange G10 handles with a black Micarta accent, or black Micarta handles with an orange G10 accent. These are extremely limited, and every blade is numbered. So get yours today, before they are all gone! Amazing short knives made by Ontario in the Ranger series. These are stout and strong knives that come with a great Kydex sheath system. They are made of 1095 carbon steel and you get the choice of various colored cord wrapped handles or Micarta. They are also offered with orange handles made of G10. Also, each handle material is available with or without a glass breaker extension from the top of the handle. Very cool knives!